From golf professional to hugely popular YouTube personality with 450,000 subscribers, Rick Shiels has worn many hats and embarked on a successful journey through the evolving landscape of contemporary media to share his passion and knowledge within the game. Becoming a judge on a television show was perhaps not on the cards, but that is exactly what happened last year. Reality television shows have become ten a penny. Ranking with social media and coffee shops as unexpected popular revolutions of the century, these programmes are now inescapable and dominate conversations, but golf club manufacturing likely wasn’t a subject that you would have instantly translated to this modern phenomenon. 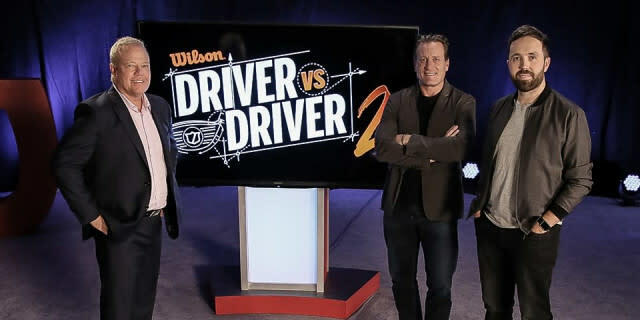 However, Golf Channel and Wilson Golf thought differently when they produced Driver vs Driver Two, which has promoted and celebrated innovation, delivered unparalleled access behind the design process, and ultimately crowned a winning driver that is now available for regular golfers to buy. We caught up with Rick to hear more about the show, the successful design, and what he has taken from the experience. Hundreds of keen entrants were whittled down to a select few during the televised stages. The principle and concept of each driver was honed and enhanced throughout by the Wilson Golf team during an exhaustive testing process, ultimately culminating in a closely fought final between the innovative Roswell and Evan Hoffman’s winning Cortex design, which is the most adjustable driver that Wilson has released to date. Golfshake's Ryan Rastall had the chance to meet Evan during the recent PGA Merchandise Show and test the new driver for himself. The slick presentation of the show may have showcased a seamless process, but the realisation of these design concepts from the talented finalists required many hours of endeavour and the expertise of numerous engineers and testers. “It fascinating that we ended up with two young lads (in the final), both in their 20s, with Tim (designer of the Rozwell) being only 21 when we first met him, and both talented golfers in their own right, but with fresh eyes. As would imagine with most manufacturers, the engineers and designers have been around for a while, as you need that level of experience, but Tim and Evan were willing to change and willing to develop, listen to the feedback that not only we as the judges offered, but what all the testers offered. We had a lot of testers on this show, at every stage from the tour professionals, the Wilson Staff Tour Pros, to the guys at the Orlando Golf Show, the influencers, the celebrities, they had a lot of feedback from a lot of different people, and what Tim and Evan did better than most – certainly in the final stages – was that they listened,” Rick added. Which judge impressed you most in the Premiere? Much had to be considered when choosing between the two designs, and the daring innovation of the Roswell was apparent throughout the show, but what swung it in favour of Cortex? 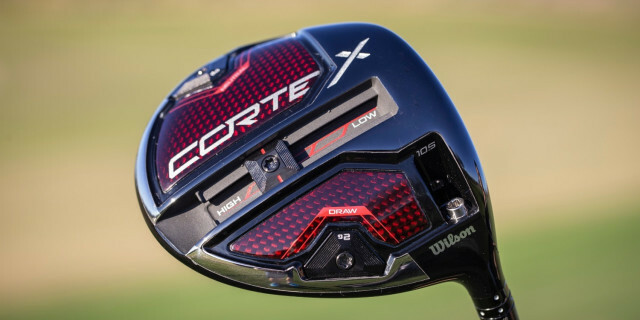 The driver market is a hugely competitive environment between the major brands, and it’s the average golfer who will generally be purchasing the Cortex, but what benefits could this specific model have to their game in an era of marginal gains? For those with an interest in golf technology and manufacturing, there is much to enjoy in Driver vs Driver Two - which is now available to watch on-demand on YouTube – and spending the time binging the series is something that Rick believes will be rewarding for those looking for that rare insight. There are few bigger golf geeks than Rick Shiels – which is clear from his engaging channel and social media output – but such was the level of access and information provided on Driver vs Driver Two, that it became an educational and hugely rewarding experience for him. “I learned everything. Honestly. I learned everything. For someone who has worked in the golf business, I only ever see finished products. I had never seen where it begins, where does it start. I’ll typically see finished products before the majority of the world, but those products were still finished. Where this, this was totally different, this was right back at the drawing board, as far removed as I’ve seen a driver from completion. Literally some of the designers had scribbled ideas down on a piece of paper, that’s how raw it was. “To follow that process from start to finish, the one thing that stood out to me was how much further our intelligence could be applied in golf. The engineers that are involved in it, the science and research, the computer designs that you see. We even had acoustic testing, and you’ve got a driver on screen, which is not even built or processed, and it can tell you what that driver is going to sound like when it hits a ball at 100mph. That, for me, is mind-boggling. That’s crazy. Enhancing his knowledge of the origin and creation of golf clubs is one thing, but what about being involved with a large-scale television production? Rick’s YouTube channel has progressively grown, and that has brought with it additional opportunities including being a social media host for last year’s The Open at Carnoustie – presenting alongside Eve Muirhead – but the scale of Driver vs Driver Two was on another level. “It’s absolutely bonkers. The amount of people who are involved in it. We started filming the first episodes 12 months before it aired. It was such an interesting process. I’m based in the UK and the show was in America, so for me it was trying to work out logistics of having so many people to come together and schedule filming dates. Even just to get the three judges together and Melanie, the host, was a logistical nightmare. There must have been 60 or 70 crew members at every filming day, the cameras, the equipment. I remember being in a hotel lobby and there was a rack of cameras. I film predominately on my own, and my camera costs a few hundred pounds, and I asked what their cameras cost, and they started at one hundred thousand dollars each. There were six of them!